Patients who have eyebrow transplants are always surprised at what a difference it makes in their appearance. Eyebrows can drastically change a person’s look and Dr. Behnam performs eyebrow procedures on women and men. Transplanting hair into the eyebrow area is more difficult because the follicle must be inserted almost parallel to the skin so it will lay and grow properly. Also, the eyebrows must be shaped to suit the patient’s face. Most importantly, it must look natural, so eyebrows are created with single hair follicles to ensure that they are not pluggy. Dr. Behnam’s one surgery a day policy ensures that he has the time to create every site of every eyebrow with careful artistry. One of the most fascinating aspects of an eyebrow transplant is that hair that is taken from the back of the head, when transplanted to the eyebrow area, ultimately grows short like eyebrow hair. The hair actually adapts the traits of the area where it is transplanted. The patient will have to trim and train their new eyebrows for the first year. Usually after the first year, maybe a little longer, the hair only grows the length of eyebrows. In the consultation Dr. Behnam will first examine the patient’s eyebrow site to evaluate if the patient is a candidate for transplant. Often patients want a transplant at the first sign of thinning without realizing that it might be possible to thicken their eyebrows without surgery. 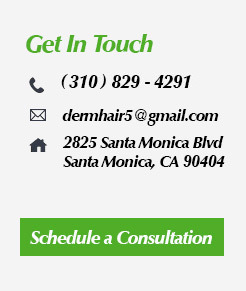 The donor hair will also be examined to ensure that the donor hair is not thinning. If the donor hair has significant thinning, the patient is not a transplant candidate. Once it is established that the patient is a good candidate for transplant, a plan will be discussed. Different patterns of eyebrows are viewed as well as before and after pictures. The entire transplant process is explained form preparation to aftercare. Because eyebrows are part of the face, there will be some swelling and bruising in the face shortly after the procedure. Most patients may go back to normal activities four to seven days after the procedure. The average eyebrow patient goes back to work in one week. Patients who pencil in their eyebrows should not use a pencil in the area for three to four weeks. When a pencil is used again, it should be used very delicately so the newly transplanted grafts are not damaged. Also, patients should wait three weeks after the procedure before they color their eyebrows. Patients who have significant scarring in the eyebrow area may need to add $750 to the cost of the procedure for an F.D.A. approved wound healer called Acell to increase the graft survival rate in scar tissue. For more information about Acell, see Acel.com. For a free eyebrow transplant consultation With Dr. Sean Behnam please call 310-829-4291.